Professional Series owes its specific design to wind tunnel testing and fine tuning on the track. Only our Pro Aero Extreme is more aerodynamic. 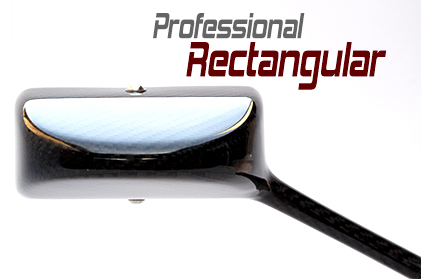 Pro Series combines the benefits of genuine carbon fiber, aero-shaped stems, unique 6061 aluminum mountings and adjustable mirror lenses to achieve a competition mirror that is 25 percent more aerodynamically efficient than its competitors. 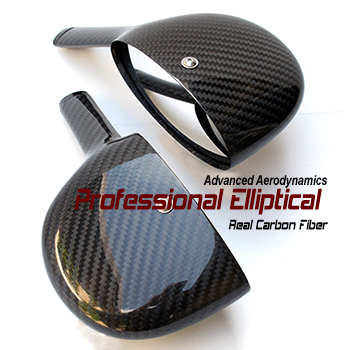 Extremely light in weight at only 123g (4.3oz) for Pro Elliptical and 143g (5.0oz) for Pro Rectangular. Pro Series comes with a 17-inch radius convex mirror for a clear and wide field of view. With our Pro Series, you'll see a true image without distortion and without vibration. The mirror is 'soft' mounted to absorb high-frequency vibrations. 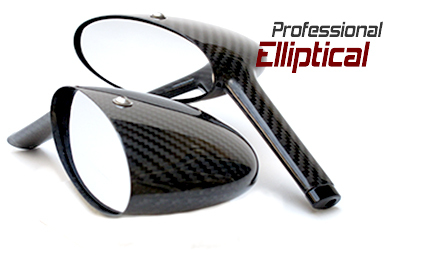 Pro Series is offered with choice of elliptical mirror (6.0 sq-in) or rectangular mirror (8.6 sq-in). 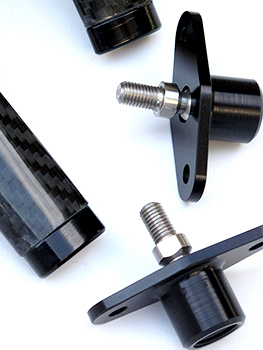 We took the aerodynamic design one key step further and deliver the Pro Series with unique 'internal' mounts. 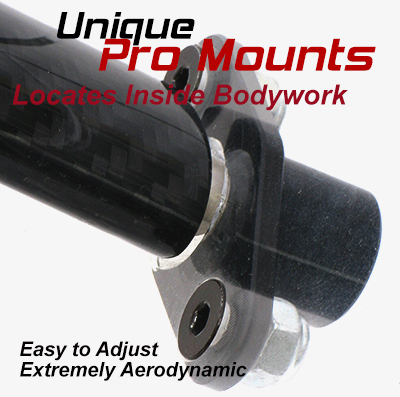 The Pro Mounts locate to the underside of the bodywork out of the airflow. These are small aerodynamic improvements which will have a beneficial and noticeable effect on your speed and lap times.